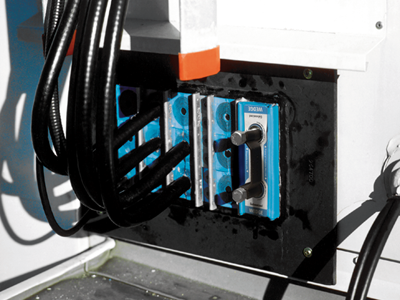 The Roxtec SF is a cable and pipe transit available in different materials and with a single or various combinations of openings. 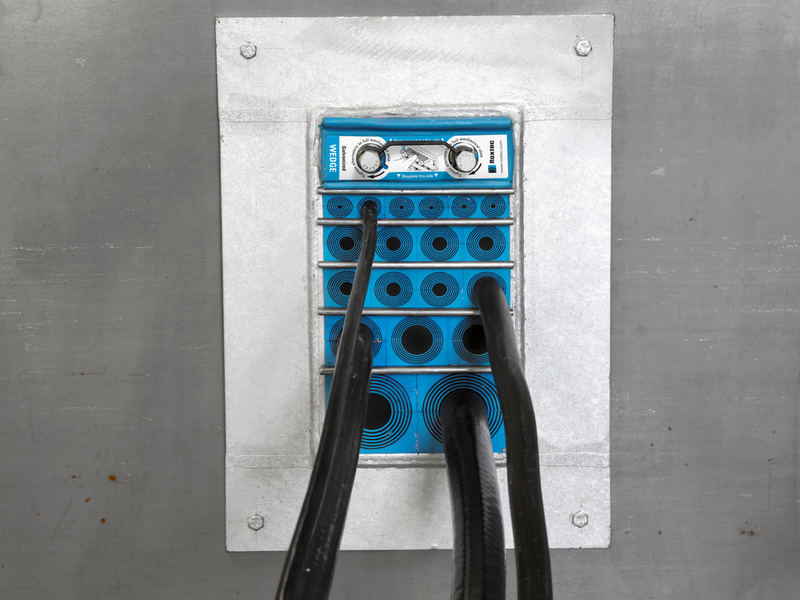 The transit frame is produced in 10mm thick metal and has a flange to simplify welding to unprecise holes. 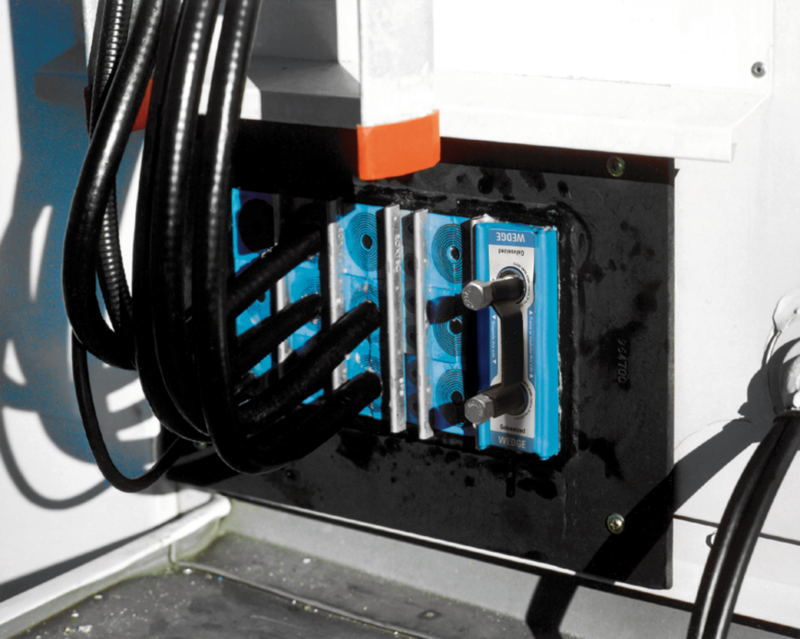 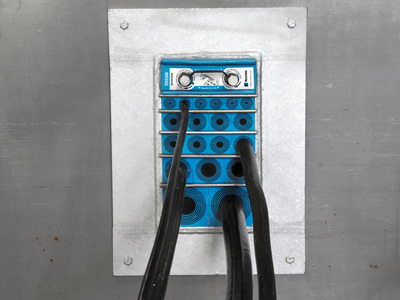 The standard sealing modules are adaptable to cables and pipes of different sizes, and can be used to build in spare capacity in the transit.